New Year always comes with new expectations. It can be compared with a reset button, everyone gets a chance to start everything over again. At the same time, good things come to those who wait, and retailers are waiting for revamped shopping cart versions, which will help to obtain the best return on investment. Let’s take a deeper insight in order to understand what are the main e-Commerce expectations of the year 2014. Improved design. 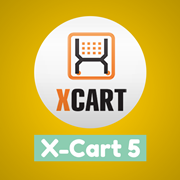 Three totally new color schemes were added to the basic X-Cart 5 theme, which constantly improve design opportunities. Moreover, mobile skin out of the box will provide maximum positive shopping experience. User interface now includes simple adding to cart with the help of drag-n-drop, customers will have a possibility to change the quantity with a mouse scroll and much more. Powerful attributes. Product variants, comparison and filters will help users to find exactly what he or she is looking for. Integration with one of the most famous CMS - Drupal, gives an access to unlimited content management possibilities as well as numerous of extensions: blog, forum, WYSIWYG, newsletters and much more. 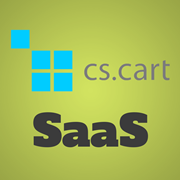 CS-Cart SaaS is a new product lineup - a cloud based version of a shopping cart. It means a platform is going to be hosted and there will be no need to worry about installation, upgrades or maintenance. It will be a great solution for those merchants who are looking for a quick start and don’t want to deep into a server configurations. What about the price? It depends on a quantity of products, file storage, number of online stores and starts from $16/month. Don’t forget to get a free 15 days hosted installation, which will help to see CS-Cart SaaS in action. 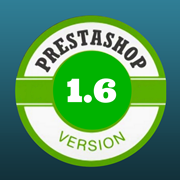 Lately, PrestaShop has announced about the release of version 1.6 Alpha. It is full of new features including improved front office template, responsive back office and intuitive dashboard. A New Theme. In a new shopping cart version default theme goes with live template editor, which provides a possibility to make changes in design right from the front office with no efforts. Moreover, it is accessible for screens of all sizes including smartphones. Redesigned back office. Now all important data is well structured and clearly displayed, so it will be easier to manage a store. Real time data. A unique feature - “Net margin” will display your profit margin in real time. Moreover, with improved reports system you will know what is happening with your store 24/7. Now homepage can be more attractive with added new banners. Fresh navigation elements, product quick view, cross selling, possibility to display products as a grid or list will considerably increase customer shopping experience. improve product security and much more. Life can be quite challenging when your expectations are not met. Nonetheless, “High achievement always takes place in the framework of high expectation” - Charles F. Kettering. 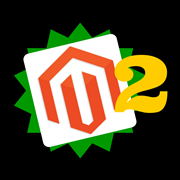 We will hope 2014 will be full of pleasant surprises and new shopping cart versions will be only a small piece of them.